James Lee Flick, 88, of Oakley, died Sunday, June 11, 2017, at Hays Medical Center, Hays, KS. He was born August 20, 1928, in Blackwell, OK, to Walter and Sara (Winchel) Flick. He went to high school in Blackwell, and then attended Colorado Springs Bible College. 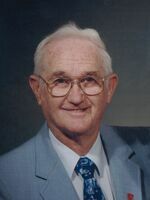 He was a pastor from 1953-1991, serving at 7 churches throughout Colorado, Kansas and Oklahoma. James married his wife of 66 years, Nina York, on Jun 1, 1951, in Syracuse, KS. He enjoyed traveling. He is survived by his wife Nina, of the home; children, Timothy Lee (Chenoa) Flick, Colorado Springs, CO, David W. (Cindy) Flick, Bartlesville, OK and Samuel R. Flick, Miltonvale, KS; six grandchildren and their spouses; nine great grandchildren and three nieces.